The Malé International Airport is very small, despite servicing international flights, but border control is a smooth process. We couldn’t be bothered to make our way by ferry to Maafushi as this would have required a taxi and a short shuttle ferry, then a long wait (we arrived in the morning but the ferry leaves at 3pm) and it takes two hours to reach Maafushi. So we went with a speedboat transfer (for $50 for both of us) with iCom that we found by going to the information desk right in the airport. The ferry option would have been much cheaper (around $4 for two of us), but with the hassle and wasted time, it just didn’t seem worth it. Though if you are on a very tight budget this is definitely a viable option, details for which can be found on this helpful blog post: Expat of the World. 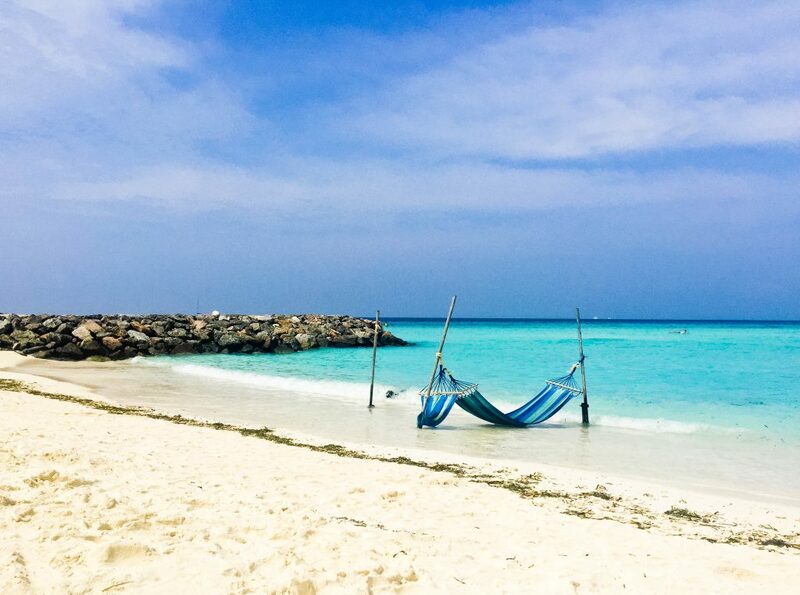 Our first impression of the Maldives after arriving at the airport was Maafushi, and we were not disappointed. The island felt small but relatively busy (relatively being the key word), and there were a decent amount of tourists, and lots (erm…relatively) of options for food. There’s also a Booze Cruise about 2-3 minutes away by speedboat, which was surprisingly amusing, and drink prices were more than reasonable ($5/beer). This is where we spent NYE, on a party boat off the coast of Maafushi sipping canned beer watching the fireworks on the surroundng islands. 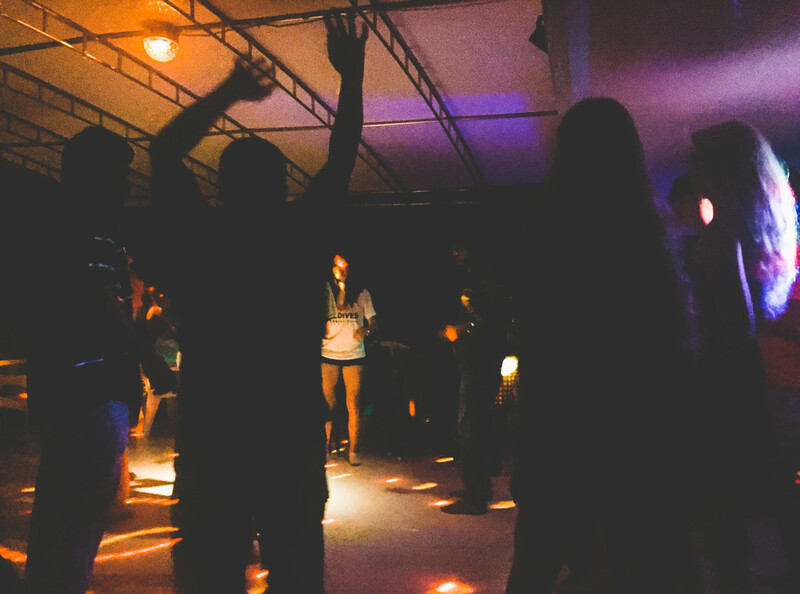 Then, watching the locals and tourists get down on the dance floor, trying not to slide around on the rocking boat. It was memorable, to say the least. Maafushi was the only inhabited island where we were able to get alcohol nearby, so if that’s your thing, then just ask in your hotel and they’ll explain how to get to the Party Boat. The bikini beach is too small for the number of tourists (then again we were there over the NYE holiday so perhaps more people than usual), so we went to the other side of the bikini beach (near Arena hotel). My research tells me that there was recently construction on the bikini beach so perhaps the side we were on has recently been developed. In any case, it was empty so we opted for that. It had more rocks and the water wasn’t as nice, but relaxing after a long day of travel was all we needed anyway. Not as nice, the beach sand isn’t smooth, a bit dirty etc, but was enough for us. I would definitely *not* recommend Maafushi for the entire duration of a Maldives trip, which is what we almost did. 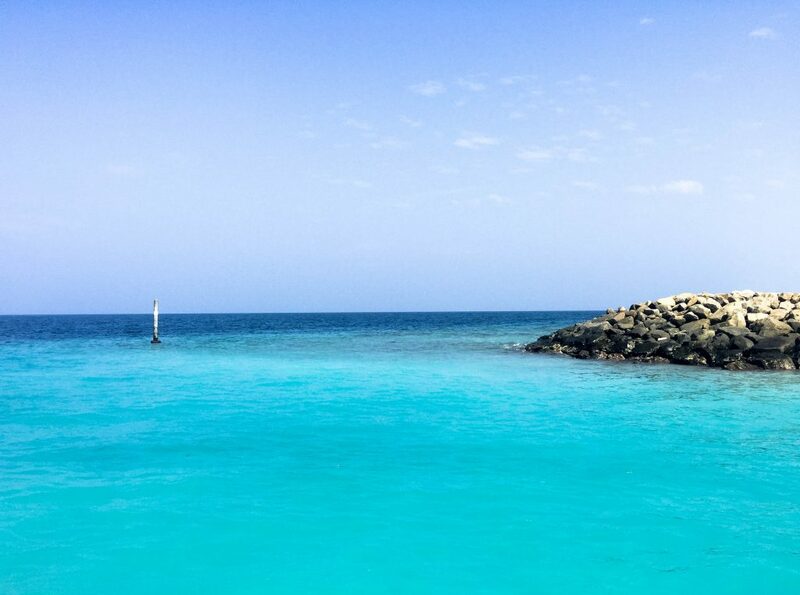 There are so many other options on other islands within the same price range, and easily accessible, that it would be a shame to spend the majority of your time there. 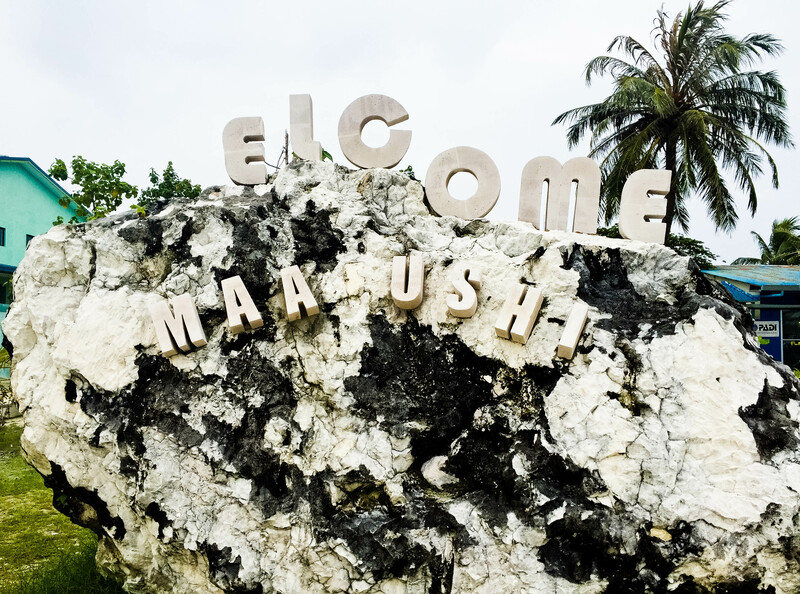 The people in Maafushi were really lovely and even though we were only there for a few days, we had a distinct feeling of belonging; folks regularly said ‘hello’ to us when we were out and about, and we felt particularly welcome. But for us, Maafushi definitely did not have that Maldivian paradise vibe and we certainly didn’t come that far for a crowded beach and expensive not-great food. I came across a few blogs and forums of people saying that Maafushi is a good budget destination if you’re looking to keep costs low and still enjoy the magic of the Maldives. I really cannot agree with that advice, and I’m glad I didn’t take it when planning our trip. 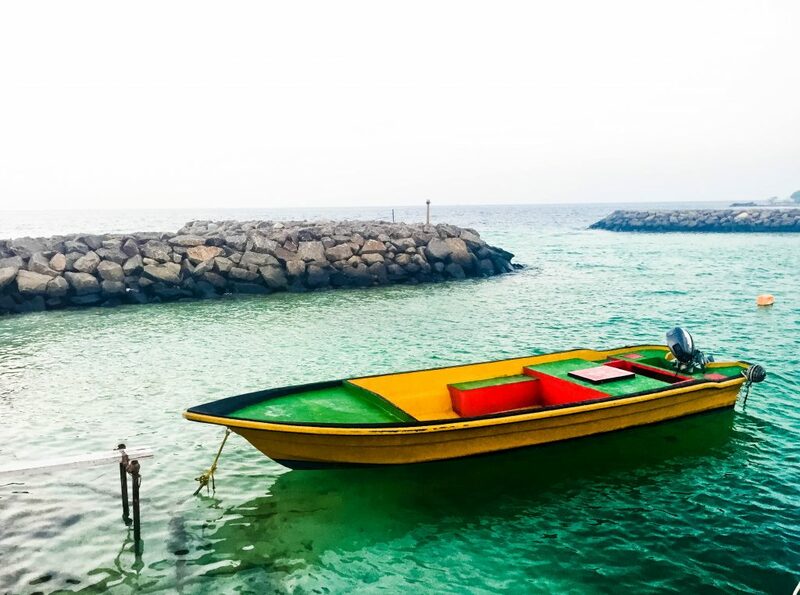 The other inhabited islands that are accessible by ferry have much more to offer in terms of natural beauty, great people, and an overall authentic Maldivian experience. Don’t get me wrong, Maafushi is nothing to turn one’s nose up at, but if you’ve already made it to the Maldives, then keep going… there are lots of other equally (if not more) affordable Islands than Maafushi (like Gulhi and Fulhidoo), with far less tourists and much more beautiful beaches. 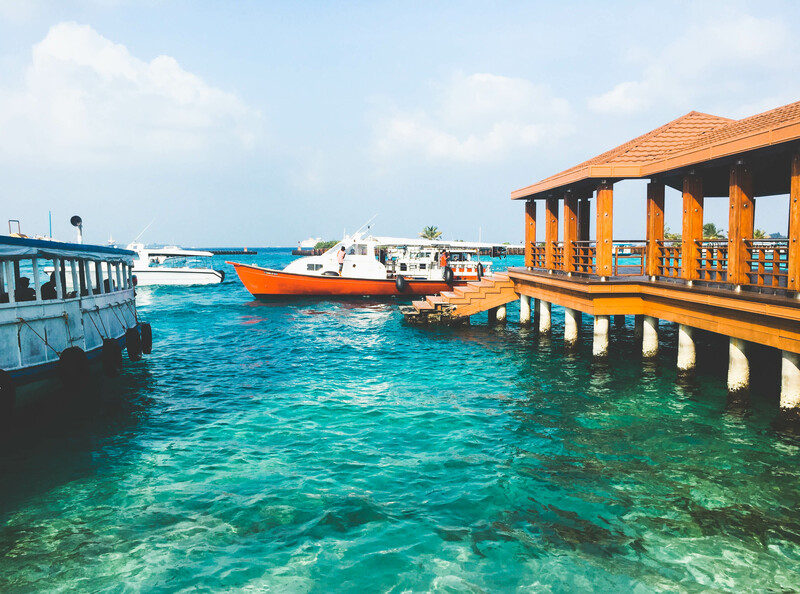 The advantage of Maafushi lies primarily in how easy it is to get there, as we know transport between islands can be costly. My recommendation would be to view Maafushi as a (gorgeous still) hub, as you make your way to other smaller islands. 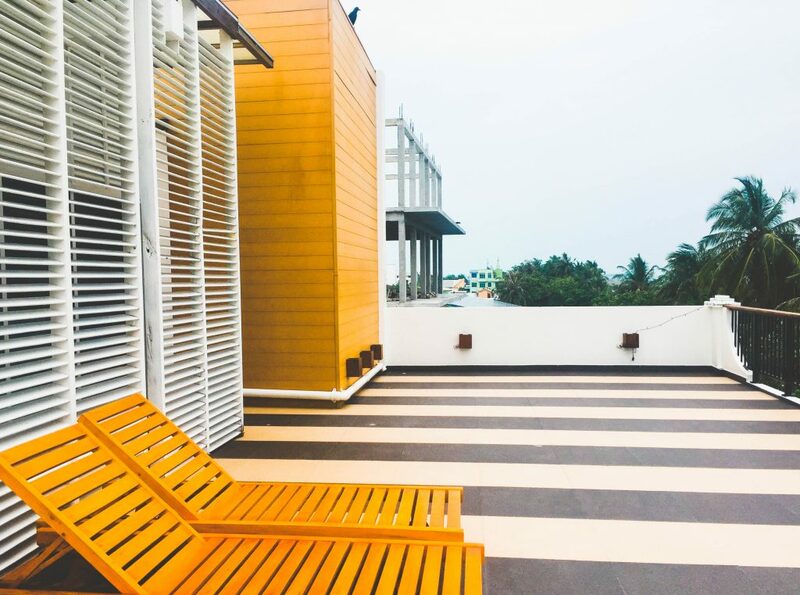 Maafushi is a hub and one of the bigger islands in terms of amenities, so you have several stores to stock up on the basics like sunscreen, mosquito repellent, and sweet & savory snacks, and drinks. Don’t expect to do any shopping though, we’re talking bare essentials. There are several water sport options in the hotels and guest houses, but they seemed more expensive than the other smaller islands. The food options are primarily the restaurants attached to each hotel/guest house, except for ‘Hot Bites’ which was pretty nasty so that does not come with my recommendation! Food in Maafushi was overall disappointing, with the exception of Velana which was surprisingly reasonably priced for semi fancy food. 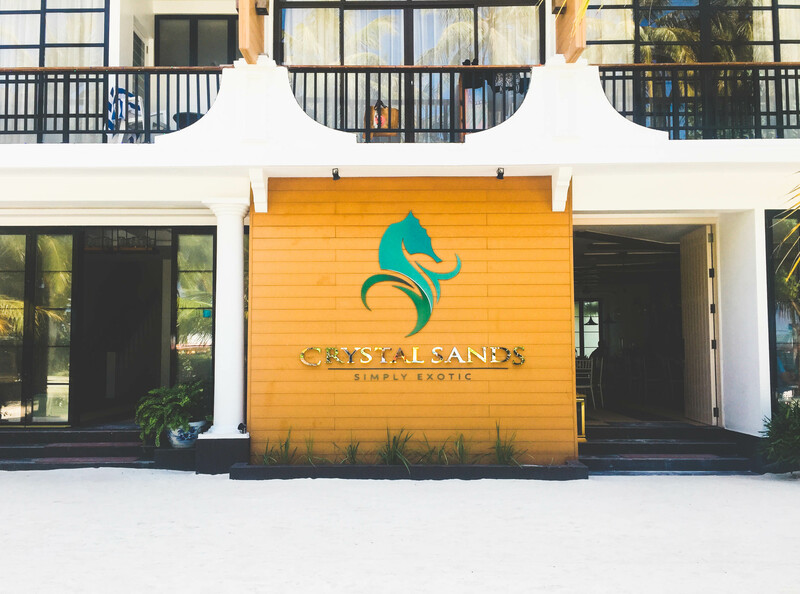 We stayed in the Crystal Sands hotel, and it was fairly basic and clean. To be fair it was one of the nicest guest houses we stayed in and it felt quite modern and new (relatively), and the staff was really nice (special shout out to Jack Sparrow). 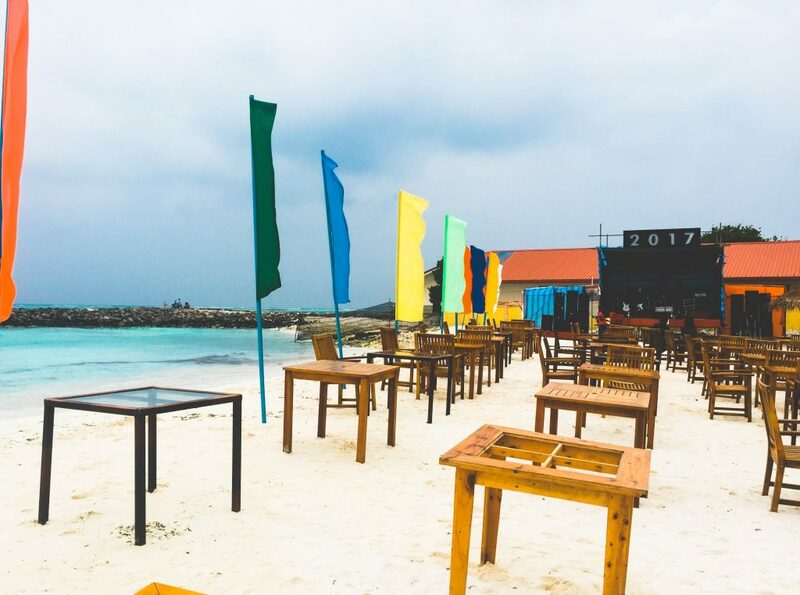 There are lots of places to choose from in Maafushi and the island is small so no matter where you are, you’re not far from most things, including the beach. 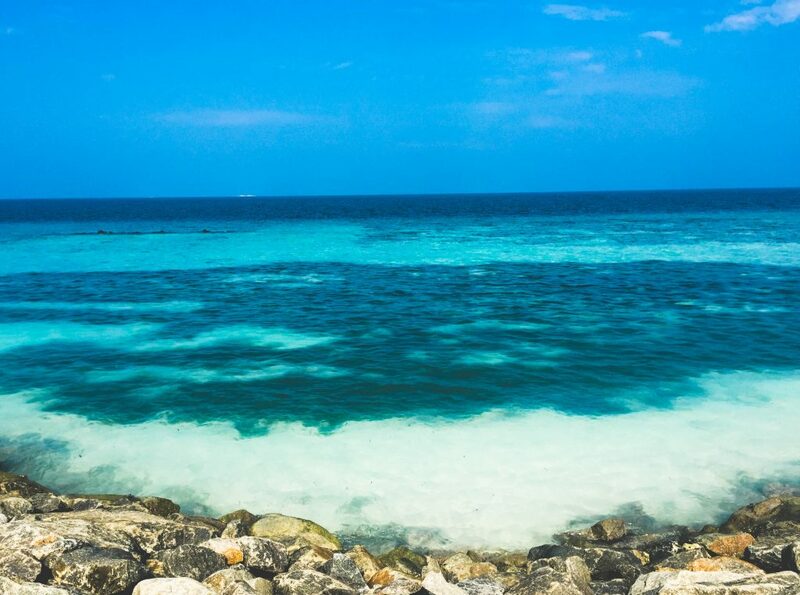 It should be noted that there is a prison on one side of Maafushi and that is not the nice side of the island; the sewage drains into the water over there, there’s an abundance of trash, and the beach is generally not maintained at all…and it smells bad. So I would avoid hotels over there! Crystal Sands is ideally located, though, and a good deal for what we paid as it included breakfast in our rate and they have a roof terrace that you can relax on if you don’t want to be bothered with the swarms at the beach. Maafushi is a great location to spend a day or two in if you’re in the Maldives for an extended period of time. Otherwise, for a short trip I would definitely recommend skipping it and heading to one of the other nearby islands, like Gulhi.